My programs enable clients to improve their health, performance and outlook in whichever aspect of their life they feel needs attention. 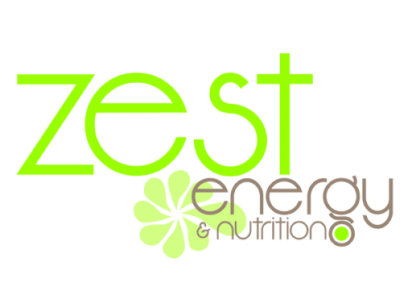 As Nutritional Therapy is based on a holistic approach to healthcare a ‘one size fits all’ approach is not appropriate –a detailed case history is taken and a unique, individualised healthcare programme is devised based upon this. It is extremely important to note that consideration of each individual client’s likes and dislikes are paramount to the effectiveness of any treatment programme. You will never be coerced into trying food you really don’t like and I fully understand that what works for one client will not necessarily work for the next. Each client is unique and is treated as such. 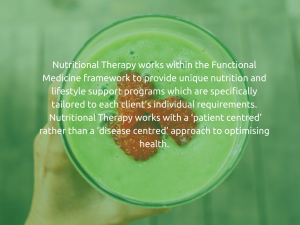 Nutritional Therapy is a complimentary medicine – therefore patients seeking improvements to long standing, chronic health concerns may benefit from this approach.